We know it's a bit hot to be thinking about tea, but when the weather cools down you'll be able to warm yourself at Buttercloud with a hot cup of local Devi tea. 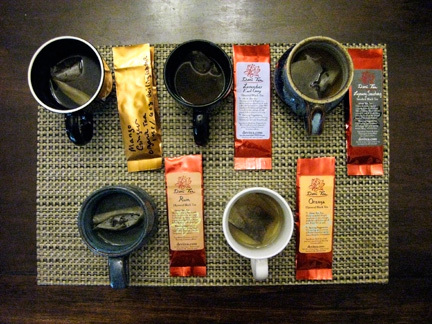 We recently conducted a tea tasting to decide which loose leaf teas we'll be offering and so far the winners are Mango Ginger, English Breakfast (the old standby), Red Mango Rooibos, Starry Nights and Winter Spice. Of course we'll be offering local coffee as well but we'll save that announcement for a future post.